You are here: NECAOnline.com » Blog » Contests » CONTEST: Classic Planet of the Apes Action Figures – Win ‘Em Before You Can Buy ‘Em! 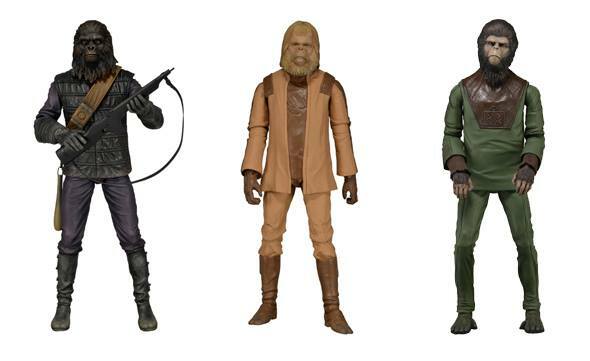 The first series of action figures in our new Planet of the Apes Classic line will hit stores in July, and fans are already going ape over these super-detailed versions of Dr. Zaius, Cornelius and a Gorilla Soldier. So if you want to be the very first to own a set — without navigating the toy store jungle — here’s your chance! Just caption any of the pictures in our Classic Planet of the Apes Photo Gallery and email it to contests [at] necaonline [dot] com. Captions are great, but word balloons work too. No obscenities — if you can’t make us laugh with simple innuendo, you’re doing it wrong. 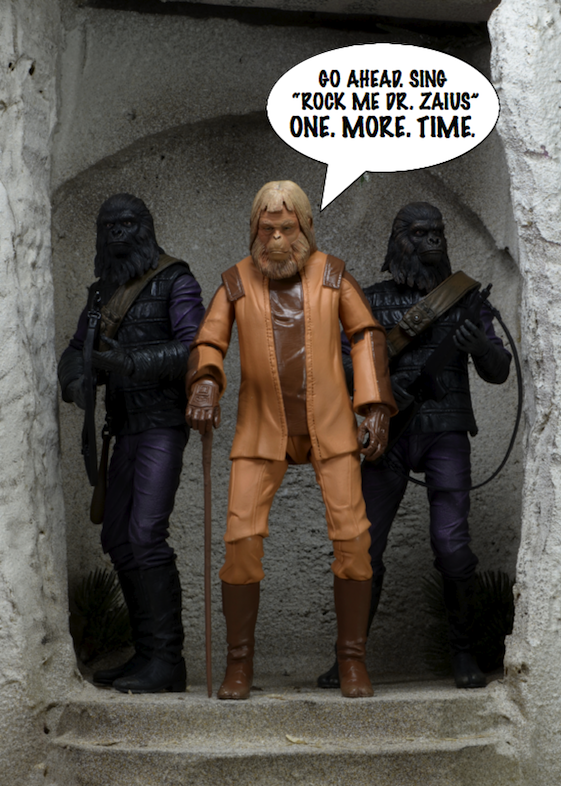 Our favorite will win a full set of Planet of the Apes Classic Series 1 Action Figures before they appear in stores! From the beloved 1968 film, Planet of the Apes! Series 1 contains articulated versions of the world’s most well-known primates, entirely faithful to their look in the movie. Fan favorite characters include Dr. Zaius, Cornelius, and Gorilla Soldier. Each figure is approximately 7″ tall and comes with character-specific accessories. 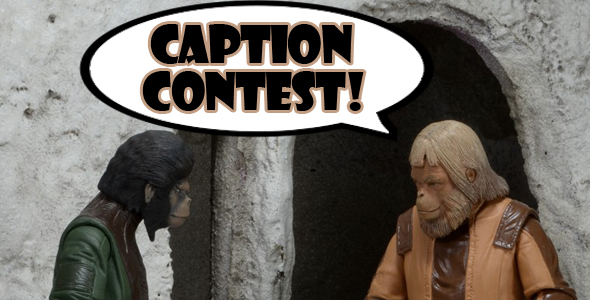 Planet of the Apes Caption Contest Winner Announced!